The toilet brush by Eva Solo captivates with its simple appearance, which blends harmoniously into any bathroom ambience. 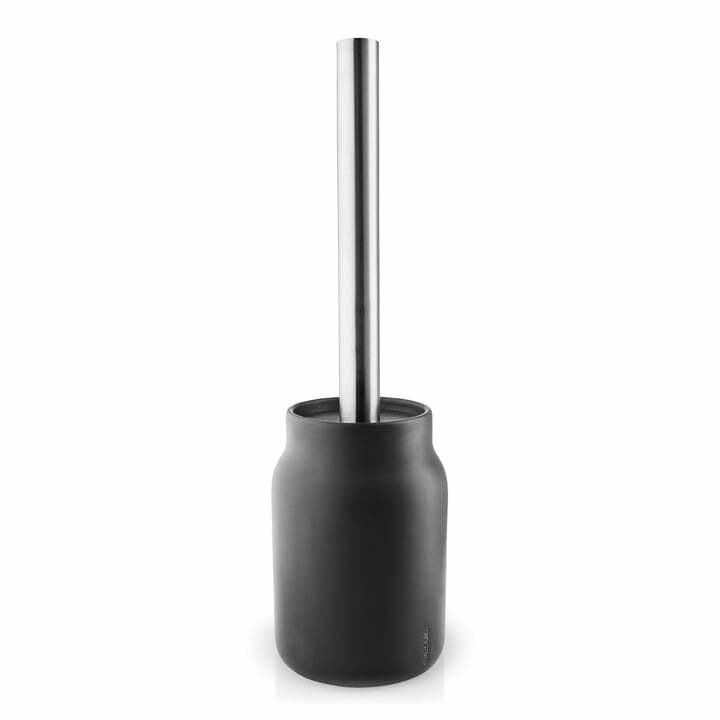 The container is made of ceramic and has been finished with a matt black finish. The brush hangs inside the container. It dries particularly quickly and remains hidden from the eye when not in use. The handle of the brush is made of shiny stainless steel and creates an exciting contrast to the matte container. With its soft silhouette and upward tapering shape, the toilet brush blends in perfectly with Eva Solo's bathroom collection and, together with the matching soap dispenser, the container with lid and the toothbrush cup, creates an attractive and practical ensemble that stylishly enhances every bathroom. To be frank I spent a lot of time choosing a brush for my toilet. Finally I stuck to te one from Eva Solo, which possesses a number of advantages any other toilet brush has got: materiality, which is firm and long lasting. It requires the minimum of time and efforts to clean and keep the brilliant look. The distance from the brush to preventive disk is quite enough. And at last it looks stunning from afar. The toilet brush by Eva Solo captivates with its simple appearance, which blends harmoniously into any bathroom ambience. The container is made of ceramic and has been finished with a matt black finish. It dries particularly quickly and remains hidden from the eye when not in use. 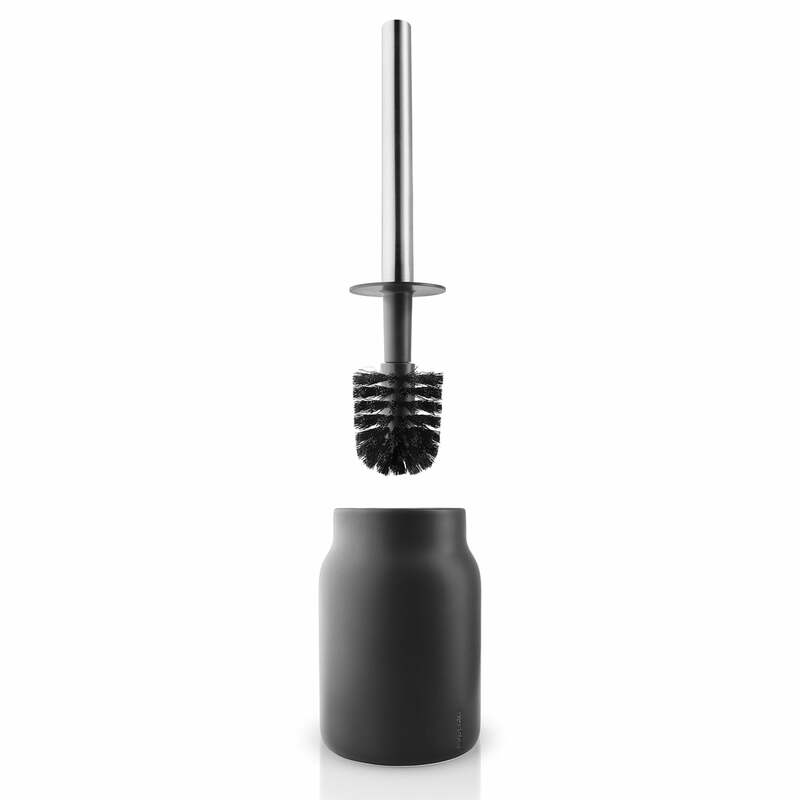 The handle of the brush is made of shiny stainless steel and creates an exciting contrast to the matte container.